Great performance and mobility, but flawed by poor usability and features. 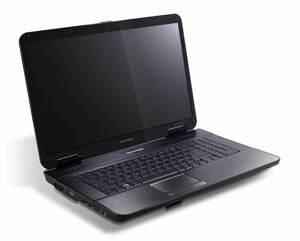 The eMachines brand is a sub-division of Acer and offers a more affordable alternative to its consumer Aspire laptops. The G725-422G25Mi is a large-screen, entry-level media centre and is a good choice for those seeking a desktop replacement on a budget. While the power and battery life of the G725 are excellent, the flawed usability and features limit it slightly, so consider your needs to decide which factors are most important to you.